Less than 2000 miles and the left side fog lens is already cracked and its a good crack too. I expect it will fall apart shortly. There are some small shards of glass inside the light. I know in the GD the lens couldn't be replaced without replacing the whole assembly. Is it the same in the GK? Anybody know? Any idea what caused it to crack? Did something hit your car? There is no other damage so it wasn't something big that hit it. Same thing happened with my GD but that was a few a few years of ownership. This happened after just over 2 months. I looked up the part on Bernardi and its only $44 for a new assembly so its not really that bad, just annoying. I'll order some film when I order the new fog light to help protect them next time. What type film would a person use? I may take some preventive action and cover mine as well. Its a film similar to a screen protector for a smartphone, just a little thicker. There are a number of websites online that sell them precut. Awesome! Those are what I ended up ordering this morning! Glad to hear someone has some good experience with them. BTW, does anybody know where the screw(s) are to remove the fog light? At first glance, I couldn't spot one. 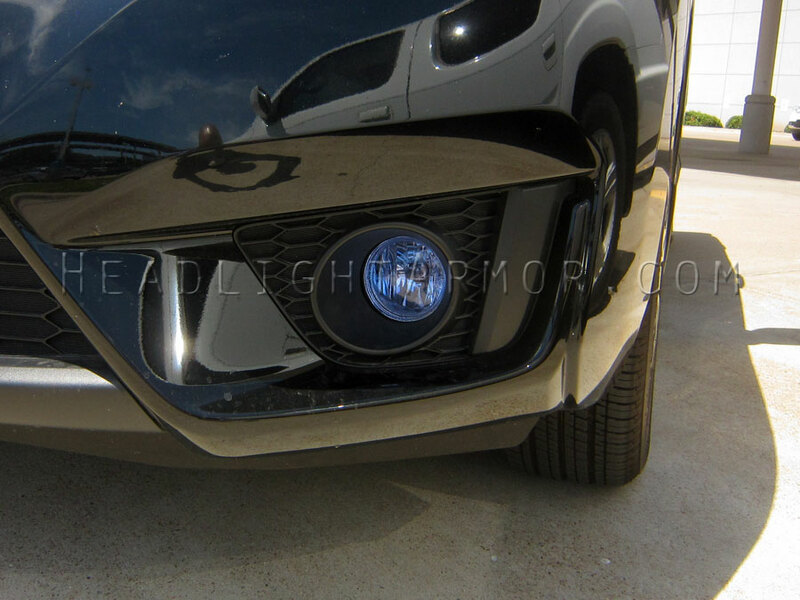 You have to remove the entire bumper to have easy access to the fog light shrouds that cover the fogs. When you remove the shrouds the screws are in front of the fog lights. You can also remove the shrouds, although there are about 6-8 clips holding them onto the bumper. If you use an ice cream bar stick to depress the shroud clips, I guess it would be possible to remove them w/o scratching the bumper. After looking at your pictures, I went out to the garage and toyed around with it. I used a very thin soft plastic interior trim tool and pushed the clips from the outside. The shroud popped right off and no damage to the bumper. Easy peasy! At least I now know that I can easily replace my fog light when the replacement comes next week. I can vouch for this film, too. I put it on the fog lights on my 2010 Fit. Have driven across the country and on many gravel/dirt roads and so far -- no cracks. Picture of the body side molding?